Are you worried of those horrible dark spots on your beautiful face?.Do you want to disappear them completely from your skin?. 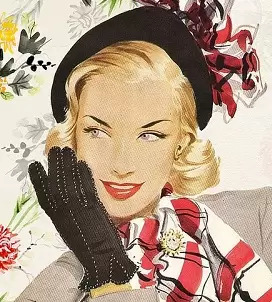 Well, not to worry anymore.Here are the 10 amazing home remedies to remove dark spots (sun spots, age spots, brown spots, acne spots) from your skin.These dark spots are caused by overexposure to sun, pimple or acne scarring, aging and medications. 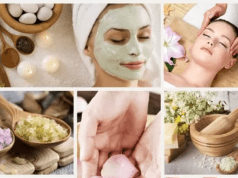 These remedies, that are listed below are not only effective in removing all kinds of spots but also helps in reducing swelling and redness of pimples, acne, dark patches, improves skin complexion and boost facial glow. 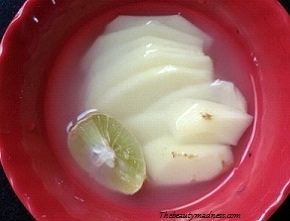 Take few slices of potato and soak in 1 cup of hot water for 20 minutes.Drain the potato juice into the bowl.Add 1/2 freshly squeezed lemon juice to it.Place the bowl in the refrigerator for about 1 hr.Dip a cotton into this cold juice and wipe your face.Do it twice in a day.An excellent remedy for removal of dark spots and blemishes.Potato and lemon both has natural bleaching properties that lightens the skin tone and fades away dark spots. 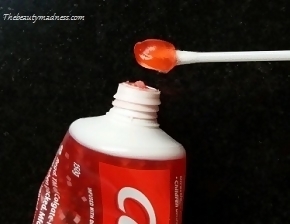 Sounds weird but true, that toothpaste can lighten dark spots and reduce pimples.Toothpaste contains antibacterial and bleaching agents that kills bacteria that causes pimples and make dark spots lighter.Using a q-tip just apply on the areas where you have dark spots.Allow it to stay for 30 minutes and then wash your face with cold water.Do this twice in a week. 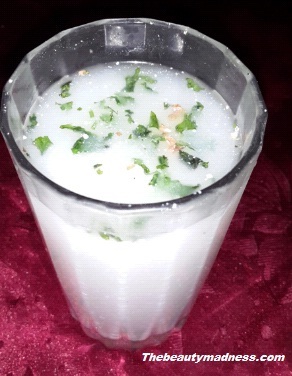 This is an extremely effective remedy to remove dark spots on face.Boil 2 tablespoon of cumin seeds in 2 cups of water and drain the cumin seeds water into a bowl.Now add 1 cup of rice water to it and stir thoroughly.Pour the contents into ice cube trays and allow it to freeze.Rub an ice cube on the affected areas for 3 minutes.Rice water and cumin seeds contain skin lightening and cleansing properties that helps in removing pimples, dark patches, sun tan, dark spots and acne marks. 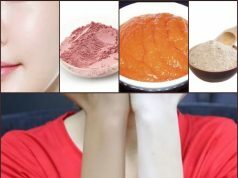 Mix 1/2 cup of ripe mashed papaya pulp, 1/4 th cup green tea water and mix to form a semi-smooth paste.Apply the pack on your face and allow it to dry for 30 minutes.Before applying the pack steam your face to open the pores.Remove the face pack using cold water.This face pack is very effective in fighting dark spots and pigmentation.The antioxidant properties of papaya and green tea works wonders in removing dark spots, pimple scars and lightening skin complexion. 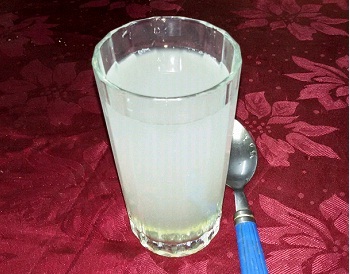 Take 1 tbsp of fine sugar in a bowl, add 2 tablespoon lemon juice and a 1/2 tsp of baking soda.Take some mixture on your palms and gently scrub to the areas where you have those horrible dark spots and skin blemishes.It exfoliates your skin surface, removes bacteria and dust trapped in the pores and lightens dark spots. Grind juicy ripe tomato in a mixer and drain the juice into a bowl, Add 2 tsp of honey and mix it well.Dip a cotton ball into this mixture and wipe your face.Do it three times a day.It clears the skin pores, lightens dark patches, removes pigmentation marks and lightens dark spots. 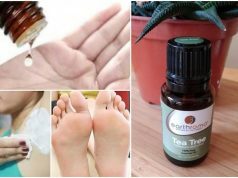 Grind a handful of neem leaves using rose water and apply a thick layer on your face.Leave it for 30 minutes and then wash your face with lukewarm water.Neem contain antibacterial and healing properties that removes bacteria from skin surface that causes pimples and helps in the reduction of spots and blemishes. 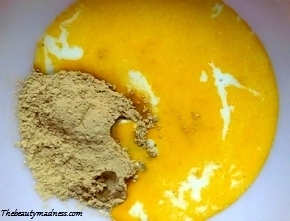 Take 2 tbsp of sandalwood powder, add 3 tbsp of fresh thick milk and a pinch of turmeric.Mix the ingredients properly to form a smooth paste.Apply this pack on your face and allow it to dry for 20 minutes.Wash your face with lukewarm water and pat dry.This is one of the effective treatment to remove dark spots and acne scars.Sandalwood contains anti-ageing and anti-blemish properties that reduces the appearance of pimple marks and age spots. 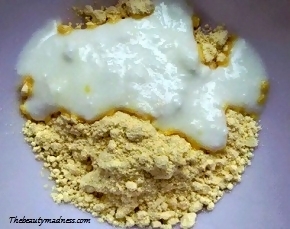 Mix 2 tbsp of gram flour(besan) and 3 tbsp of fresh yogurt.Mix it well and apply the paste on your face, leave it for 30 minutes and then wash your face with cool water.A powerful face pack to remove those scary dark spots caused by sunburns, age spots and acne scarring. Mix together equal parts of coconut oil and olive oil, gently massage onto the areas affected by dark spots for 4 to 5 minutes in circular motion.To remove the excess oil wipe your face with a cotton soak in luke warm water.Both coconut oil and olive oil is rich in vitamin E and K that improves elasticity, skin tone and removes sun spots, age spots and dark patches. Try these home remedies to remove dark spots and get clear, beautiful skin. Hi..plz suggest a pack for freckles..its growing at an alarming rate in my face..
Freckles appear when u expose urself more to the sun.So before stepping out in the sun apply a light sun screen lotion to protect ur skin from the damaging UVA rays.Apply this homemade bleach dry lemon peel powder + 1/2 squeezed lemon juice and yoghurt, apply the pack and leave for 30 minutes.rinse with cold water. 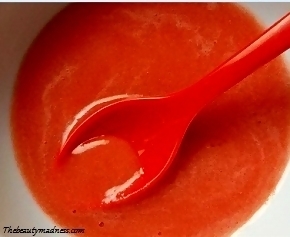 Strawberries really works ..blend ripe strawberries nd yoghurt and apply on the skin. Even after trying these remedies u r nt able to notice any difference in ur skin in 1 week then immediately consult to a doctor. 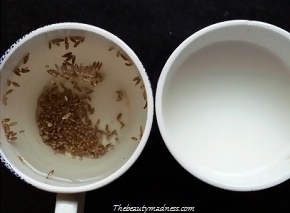 cumin seeds & ricewater tip we can use in winter season or not plz tell this i have so many dark spots & pimples,blemishes. 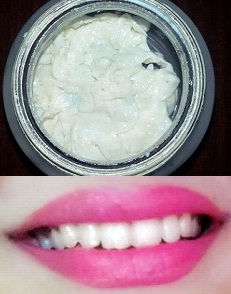 yes u can use, but if u have a dry skin add few drops of almond oil or the contents of one vitamin E capsule. 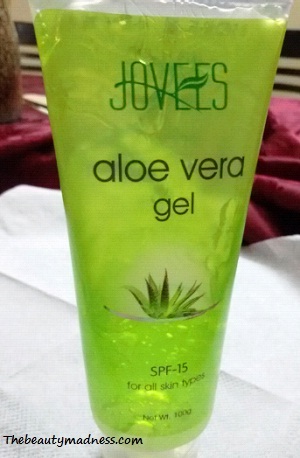 Yes of course u can use aloevera gel in winter.For pimples mark – Take aloe vera gel mix 1 tbsp of honey and drops of lemonn juice annd gently massage on the affected areas for 10 minutes.Wipe your face daily with cold potato juice mix with 2 tbsp of glycerin.For large and open pores apply a egg white mask mix with few drops of tea tree oil. Daily apply a pack of besan and milk paste.leave until it dries completely and then scrub to remove dead skin cells and make skin clear and fair. Daily Wipe your face with a mixture of rosewater, potato juice and lime. 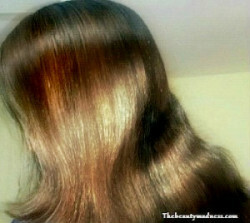 For dark spots 1.wipe ur face daily two times with cold rose water and few drops of lemon juice. 2.Take 2 potato slices soak in cold water and rub on the affected area to remove dark spots.These were some of the very effective remedies to remove dark spots and any other skin blemishes.To get fair skin use this face pack every alternate days 1.blend ripe papaya with milk and a 1 tbsp of besan.apply this pack to your clean face and leave for 30 mis.rinse with cold water.2.Take fresh orange peels blend with 1 tbsp honey, a tsp of turmeric and 2 tbsp of yogurt to a smooth paste and apply.Let it dry for 20 mins ad then rinse with cool water.To keep your face fresh & glowing always splash cold water on your face. Cold water is good for removing tan and for pimples especially if u have bad pimples.Cold water calms the red bumps. Do we have to wash with water after wiping with tomato and honey cleanser? after wiping ur face just leave for 2 to 3 minutes and then rinse with cool water. 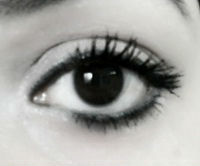 I have open pores and red marks caused by pimples. my skin is dry and also oily. 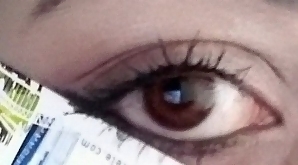 How can i clear it? for open pores 1.daily rub ice cubes for 2 minutes. 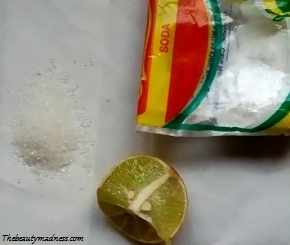 2.Wash your face with a tbsp of baking soda mix with 3 tbsp of lime juice to a mug of cold water. 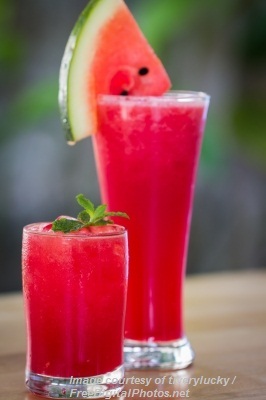 To remove red marks and spots apply 1.fresh cucumber juice mix with a tsp of aloe vera and sandalwood powder. 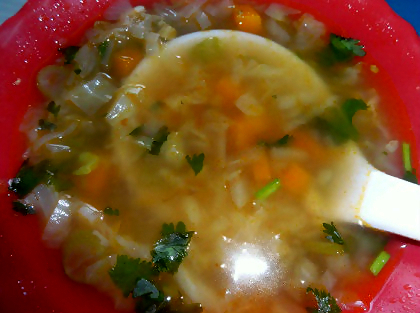 2.Using a cotton ball dab some cabbage juice to the affected area.Let it sit for 10 minutes before you rinse off. 3.Daily massage a tbsp of honey mix with a tsp of lemon juice and a tsp of warm water. 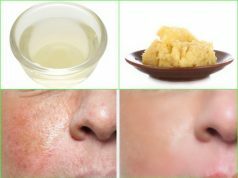 to lighten dark spots follow these remedies..
1.Take a q-tip or cotton swab and dab apple cider vinegar only on the affected area..make sure it doesn’t touch the area around your eyes..do this 3 times in a day..
2.Apply Aloe vera gel mix with a tsp of cauliflower paste on the dark spot..